The Kelpies were unveiled in April 2014 in Falkirk, Scotland. The statues bestride an intersection of the Forth & Clyde canal with a new canal extension reaching to the River Forth. 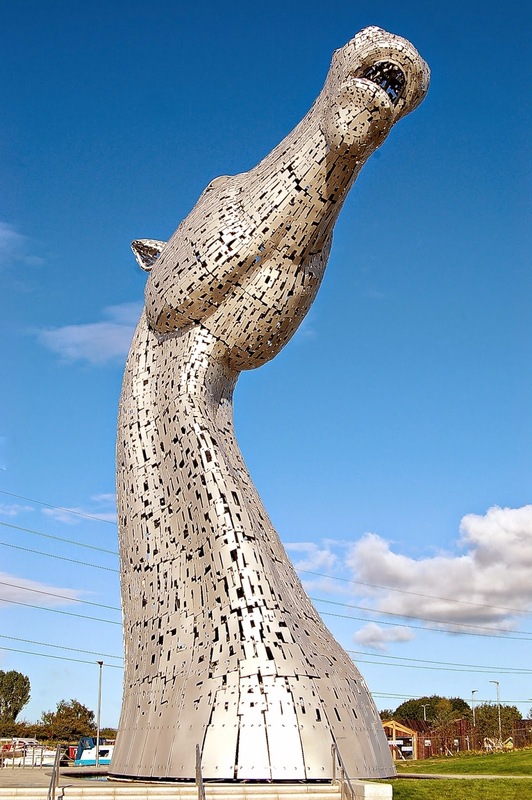 A "kelpie" is a mythical creature residing in Scottish lochs, often taking the shape of a horse. These kelpies are modeled on Clydesdales. Created by Glaswegian artist Andy Scott, the statues are the largest art installation in Scotland and the largest equine statues in the world.